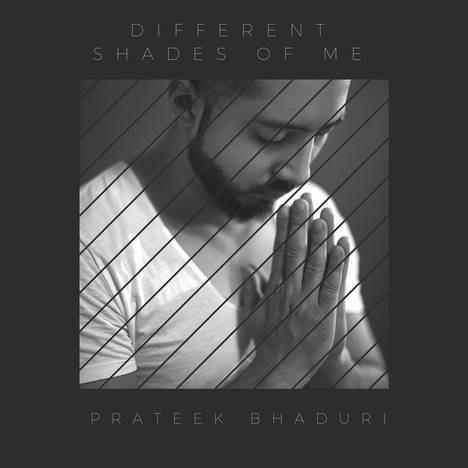 Different Shades Of Me | Prateek Bhaduri | OK Listen! The EP is primarily a Rock Album with songs written, sung and composed by Prateek Bhaduri in English,Hindi and Bangla making it one of the few Multilingual Albums in India in these 3 Languages . The song's transcend through different genres of music like Pop, Alternative Rock , Psychedelic , Folk and Country . Since Prateek Bhaduri's songwriting convey's deep emotions and social messages each song is about different relatable social issues . Drift Deeper a song that won him the Best Pop Artist Award at the Radio City Freedom Awards 2015 held in 2016 is a Pop / country song on telling people to move on from the past . Andekhi a Alternative Folk Rock with Indian folk influences from the North and West Bengal alongwith pure Alternative Rock Vocal Delivery . The song talks about " A seach for the unseen " that controls the Universe and the search for those who are lost and missing mysteriously . ANDEKHI is looking for answers for those questions that go unheard . Inner Love is a song about " Fighting Depression " is a psychedlic acoustic rock composition that dwells on self introspection , connecting within yourself (your soul ) and loving yourself . Children Of Love , a song whose proceeds have been dedicated by Prateek Bhaduri to the HOPE FOR THE CHILDREN FOUNDATION to educate Children around India is a song that tell's us human beings to be responsible and spread love , peace and education among kids around the world to stop them from commiting crimes and being brainwashed by hate . Shara Raat is a Bengali love song by Prateek Bhaduri . Prateek Bhaduri's Much Awaited Album ! Buy It Now !